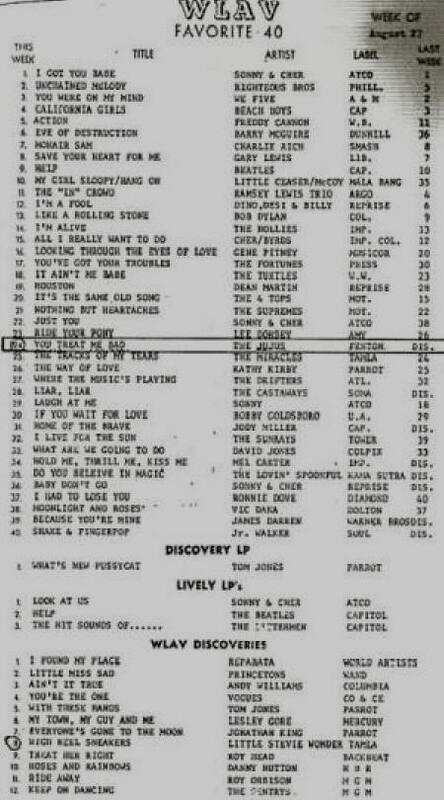 All tracks recorded from 1965-1967. Compiled and Produced by Michael Greisman and Rod Shepard. 60s: When and where were The JuJus formed? RS: The JuJus were formed in 1964. Originally there was Max “Junior” Colley on sax, Bill Gorski on drums, and me on guitar. 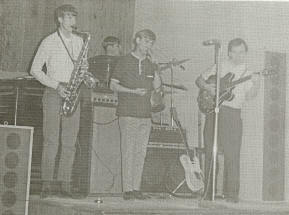 We later added Ray Hummel on lead vocal, harmonica, and rhythm guitar, and I switched to bass. 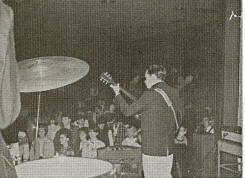 After Ray left we added Rick Stevens on guitar on February 12, 1966. Max left, and for another short time we had a singer named Brett Wells. Then Gorski went to Uncle Sam and Brett went on to golf. That pretty much left Rick and me, so we added Ronn Burke for vocals and guitar, and Ron Homrich on drums. Then, in '67, I went to Uncle Sam and the band’s history was lost. 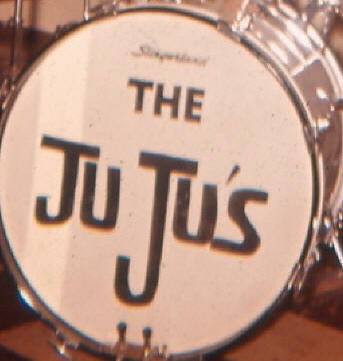 60s: Where did the name "JuJus" come from? RS:The name was simply Max’s little kid brother’s inability to say Max’s nick name “Junior” so he called him JuJu. The name had nothing to do with the candies. 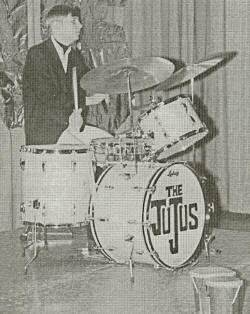 60’s:Where did The JuJus typically play? RS: We had the honor of our first “professional” job being at the Ionia State Reformatory for the Criminally Insane. It was a great start as we had an overly enthusiastic, captive audience. The JuJus played nearly every teen club around at least a couple times. 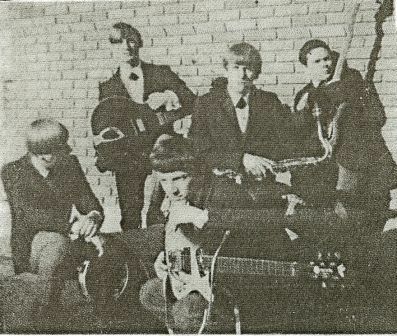 We played the Ponytail to the north, in Saugatuck, in Grand Haven, Muskegon along the coast, and the old Hour Theater. We were the “house band” at Cannonsburg Ski Lodge north of Grand Rapids. We played halftime for the Blazers football games (in the rain/snow, on an ungrounded stage). The JuJus basically played for anyone willing to pay or convince us we’d get “great exposure” by appearing. 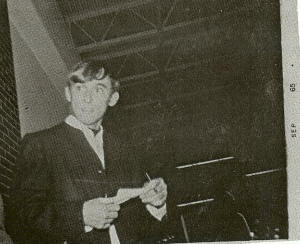 We operated a teen club called “The Island” in Ludington for a summer in about '67. 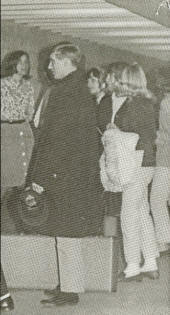 We played nightly and brought in other bands, The Electric Prunes & The Kingsmen, being a couple. 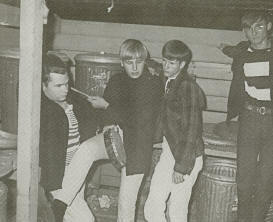 60s: How did you manage to get national acts like The Electric Prunes and The Kingsmen to perform at the Island? RS: It's amazing what money will do. We paid and they played. 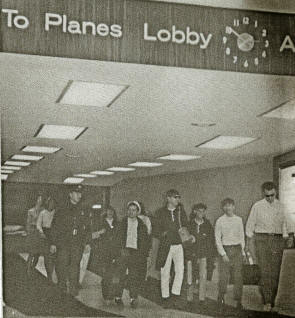 We wanted The Jefferson Airplane, but $75,000 for a Tuesday night was pretty difficult to retrieve in Ludington. 60s: How far was the band's normal touring territory? RS: We played most places between Saugatuck and Petosky - small places and large. We never played very many “parties” like a lot of bands did. 60s: Did The JuJus have a manager? RS: Jim Geeting was the only “real” manager we ever utilized. Jim put a lot of effort into us. I used to think that perhaps he was trying to live things through us that he’d have like to have done himself. He was responsible for The Island. He set it up, financed it and somehow “encouraged” us (to believe) we could do it. I don’t recall any great money being made from it, but we had a great time and learned a lot that would carry the band further. Jim always insisted that we dress as a group. He told us it was a lot easier to book a “clean band”. 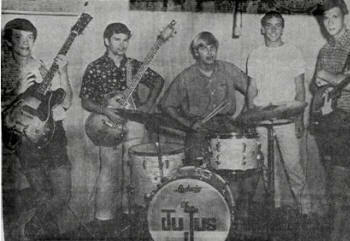 60s: Did The JuJus participate in any Battle of the Bands? RS: Yes we played at them, won a few, lost a few. Most band battles were really only a showing of who could bring a group of the loudest friends. I never thought much of them. I remember playing in and going to several where the “best band” didn’t have a hope. I remember going to one that The Soulbenders played and I believe lost. Personally they were one of the better bands around. But at any job you were on stage and that was the important part. People were hearing your music. 60s: How would you best describe the band's sound? RS: I came from a very broad exposure to music, from Hillbilly to classical. Junior, Gorski and I were all in a high school band program that was second to none. Ray came from folk music. People don’t realize that The JuJus were always evolutionary in a decade of revolution. We began with a sax, guitar and drum. There was nowhere to go but saxophone type rock n’ roll. We added Ray and turned into a folk-rock band and also with a Gerry & The Pacemakers sound with a sax. After Ray and Junior left, we had to “reinvent” again. We became straight out rock (no ballads). Rick was developing into a good guitarist. Ron Burke had a rougher, stronger voice and we changed as a group into a more progressive rock sound. I recently heard some cuts, about the last I ever did with the band, and I was amazed. They sounded pretty good even over forty years later. They were kind of a JuJus answer to Sgt. Pepper. 60s: How popular locally did The JuJus become? RS: There was a period during “You Treated Me Bad”, that led us to be recognized everywhere we travelled. For the most part we enjoyed the fame but it had a price. While playing the Pit we were “gang” threatened because some guy’s girl decided she liked Ray instead of him. There was quite a hullabaloo that night, but we were taken out as soon as we finished. After an overcrowded gig at East Grand Rapids School's gym, a couple hundred teen-aged girls mobbed us as we were attempting to leave. Security wasn’t much in those days, and we ended up with uniforms ripped up and a good reason why most of us have less hair now. 6 0s: What other local groups do you especially recall? RS: It seemed that when we started there weren’t many. One of the first groups that impressed me was Dave & The Shadows. Jim Wilson was the guitarist and quite talented. The Kingtones were and still are impressive. They learned to be a “show band”. I remember when Me & Dem Guys rolled into town and set up shop at the Elbow Room. 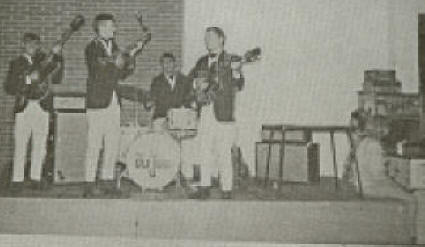 They were thought of as a “bar band.” The fact is they were good musicians, personable and entertainers, too (a show band style). I met a lot of these people working for Bill Ferrell. He ran a music store on South Division. I worked and taught there for several years. (Working at) Ferrell’s was great exposure with opportunities to talk and listen to musicians of all sorts and styles coming in. 60s: Did The JuJus back any national acts? RS: We did appear with on the same bill as Chubby Checker, Al Green, The Kingsmen and even Buster Mathis (yup, the boxer) when he was trying to go from punching to crooning. I don’t recall that we ever backed anyone else. I know that in years since Max has recorded with a lot of group and single acts. 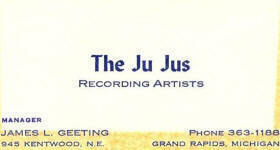 60s: What do you recall about The JuJus recording sessions? RS: The JuJus recorded first at the Hour Theater, which in off hours was Fenton Records. “You Treated Me Bad” and some others were done there. We traded recording time for Showtime between films. We also recorded at Chess Records in Chicago and that was something. Many greats of different styles recorded in that run-down old place. Word had it that musicians who’d had hits recorded there wouldn’t allow it to be fixed up; they were afraid the studio would “lose its sound, man”. Our first recording session was for the songs, “Runaround Girl”, “She’s My Girl”, “Summertime”, and “Hey, Little Girl”. My last studio time was at Phil Robert’s Studio. We did R ick’s songs there. Phil always had ideas flying all over; all you had to do was grab the ones you liked. 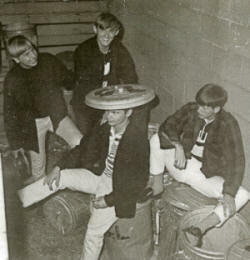 We did release two 45s, “You Treated Me Bad” b/w “Hey Little Girl”, with Ray, Max, Gorski and I. Later we released “I’m Really Sorry” b/w “Do You Understand Me”, with Rick, Ron, Ron and I. We did all the marketing, delivering, collecting and running orders ourselves. We knew nothing of what we should be doing and learned by seeing what worked. It was quite an experience for us. Those records sold for about ninety-eight cents of which we ended up with about a dime. We collected our dimes and then figured out how to pay for our expenses. 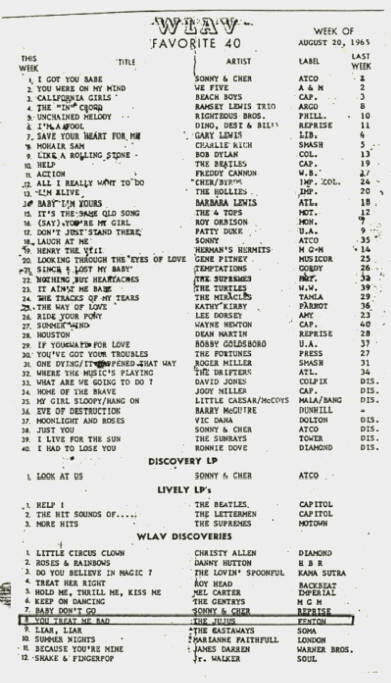 On October 3, 1965, “You Treated Me Bad” hit number two in the Western Michigan area. The Beatles had the number one hit with “Yesterday” . RS: Ray Hummel wrote most of the original songs we did at first, and both tunes on our first release. Later Rick Stevens primarily wrote. Generally one of the two would develop the bases of the songs and we’d all add, subtract or make changes as the song grew. The JuJus were a “group”; we all participated in everything, but Ray and Rick certainly deserved their names on the labels. Ray also released a single “Fine Day” and Gentle Rain” with Bill and Max, which was also on Fenton Records, like our first single. 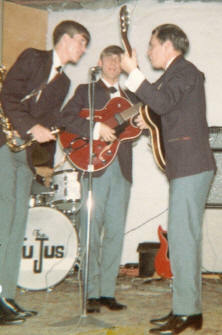 60s: There are several unreleased JuJus songs that have survived. Do you know how many? RS: It’s been a lot of years gone by since all this went on but -thanks to a get together with Junior and Bill Gorski- I can say that “yes, we do have never-released material”. The alternate version of “You Treat Me Bad” exists because Dave Cullenbeck gave us acetates of the song when we finished recording in order to pass them out to radio stations prior to receiving the actual finished records. 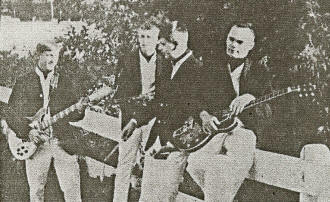 “I’m Cryin’” was recorded in September, 1965 at Great Lake Recording Studio. The fact is that there is still enough “recorded” material available for an album. It could be an anthology of The JuJus, 1965-1967, and feature the various combinations of personnel. I have learned that The JuJus songs have been available on compilation albums and CDs since the mid-Eighties. 60s: When and why did The JuJus break up? RS: As I said before, The JuJus were an evolutionary band. We lost Ray just when The JuJus began “happening”, then Max and then Bill. I think that was '66, maybe '67. We had to change to survive. We added Bret as lead singer, Ron Burke on guitar and Ron Homrich on drums. We had a good potential sound but Bret chose to leave. Ron Burke began singing lead. Rick began writing and developing his play so we headed in a different direction. We were putting it together again when Uncle Sam offered me a contract in 1968. I must admit however, after Junior and Gorski left it could never be "The JuJus" again. 6 0s: How do you best summarize your experiences with The JuJus? RS: About the only thing to say about having been with The JuJus is that it was great! It'd be a terrific experience for anyone. There’s nothing quite the same as being on a stage, playing your music and you, the others in the band, and the crowd, are rolling, with the band feeling as one, or the feeling you get when hearing “your music” on the radio or the feeling of having “your song” as number two. We felt special being The JuJus. For instance, late one night Gorski and I were walking down Division Avenue, discussing our favorite topics: Songs, bands, religion, politics and girls. Along came a car full of short haired intoxicated greasers, screeching to a stop in front of us. A guy screamed out “get them!” and here we were-two of us versus five of them. The last out of the car was a girl who screamed, "It's The JuJus!!" She saved us, yelling that name. We all ended up talking, having a laugh, and signing autographs. The fact that forty years later the music of The JuJus is still available and that there is still some interest in the band is just plain amazing. 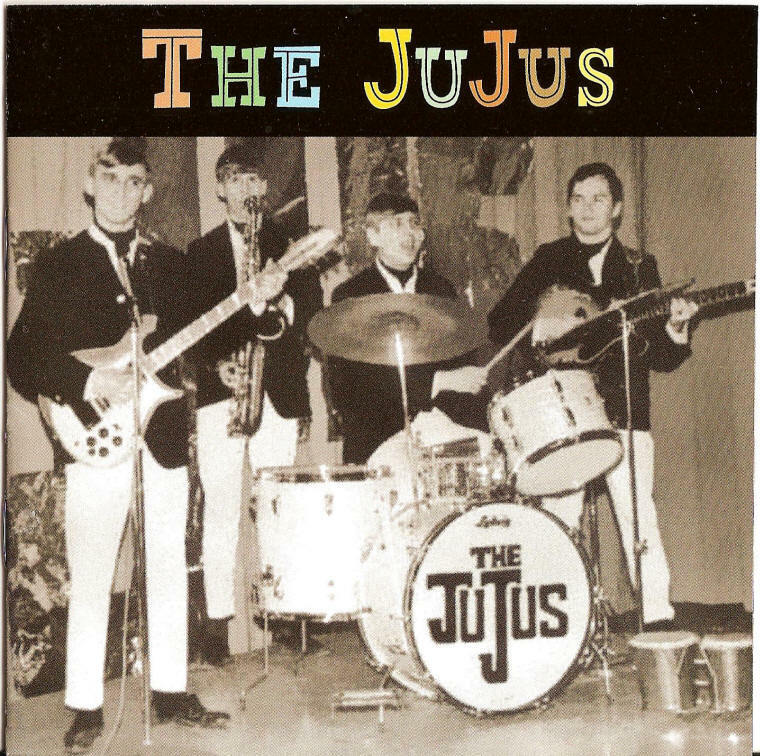 With thanks to www.60sgaragebands.com ( Mike Dugo) and RS (Rod Shepard) for the interview on the history of The JuJus and generous time provided for the compilation of this CD.